There’s something about seeing the first snowdrops breaking through the soil that never fails to warm the heart. I’m spying clumps of them everywhere at the moment and they’re a very welcome reminder that spring is on its way. The snowdrop has been a symbol of hope ever since Christian legend told that Adam and Eve were banished from the Garden of Eden into a barren and wintry land. As Eve sat weeping, an angel came down and breathed upon a snowflake, transforming it into a snowdrop and as the flower bloomed, hope was born. 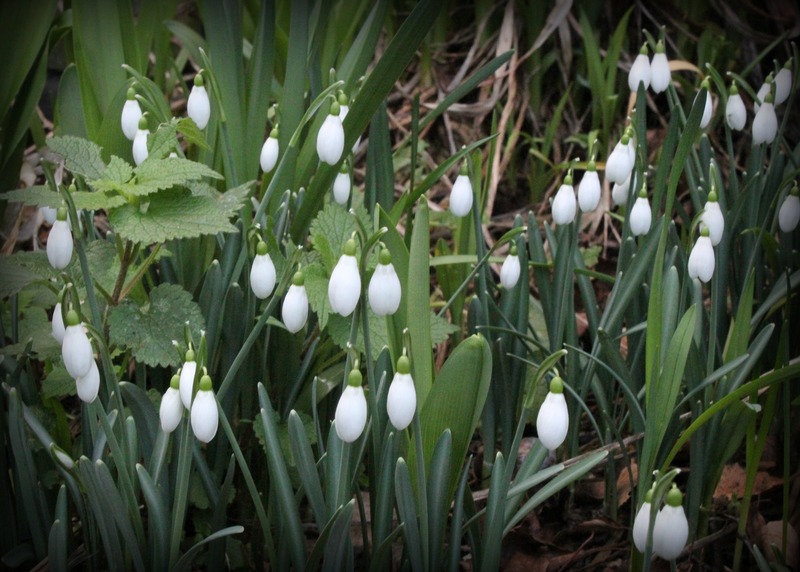 Contrary to this, however, is the old superstition that snowdrops should never be brought into the house as this will bring bad luck, illness or even death! Ade found these little fellas nestling in my parents’ garden in Suffolk over the weekend. Needless to say, he left them precisely where they were. But how lovely to see them from the window, and to be reminded that brighter days are ahead. So lovely! No snowdrops in Maine yet.